in the 2018 World Cup . 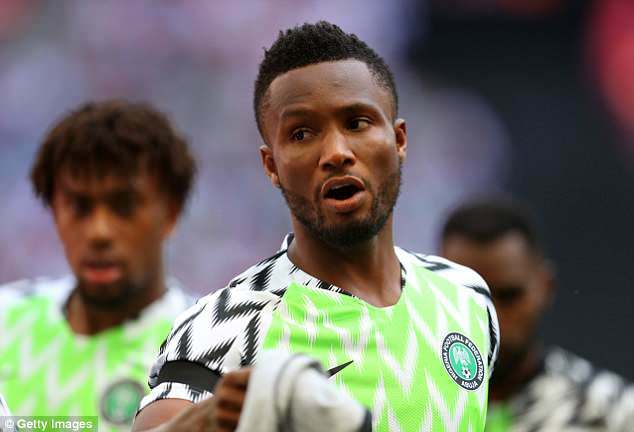 He all made a vow on the next match to come,Mikel expressed confidence that they will be the third team to stop Barcelona superstar, Lionel Messi from scoring at the 2018 World Cup after Iceland and Croatia showed the way. ”It is always difficult facing Argentina, this game is a do or die game, it is not like the first game of the group or the second game, this is the last game of the group. We have to die on the pitch. “It’s obviously very hard to defend against (Messi). Both teams so far have done really well defending him, we have to see what we can do, how we can make sure we defend against him, not just against him but against the whole team". Meanwhile the Super Eagles held their final training session at their base camp in Essentuki on Sunday morning.